Currently, I work with photographic found imagery discovered in bins, second-hand shops or passed on by relatives and friends. 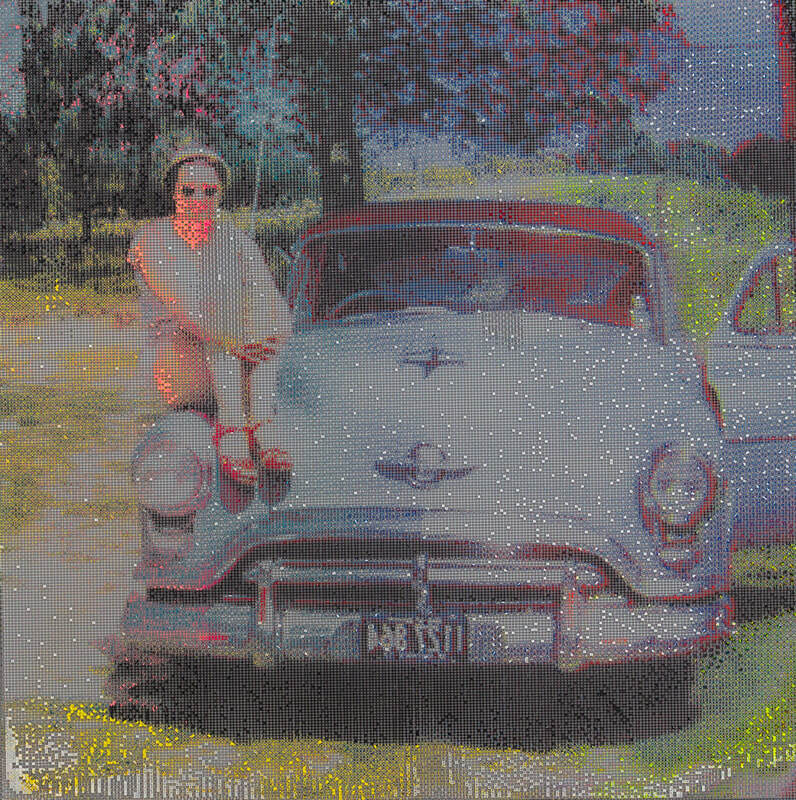 I use stills taken from Super8 films, transparencies or photographs and transcribe these images onto wire mesh using the CMYK screen printing process. The physicality of the imagery becomes distorted, pixellated and fleeting as the viewer moves around the image. These works also allow the viewer to identify and reminisce, perhaps inducing echoes of their own personal experiences and memories. This collection, ’Showoffs’ depicts people showing their latest purchase, experience and prowess. Other times there are subtle elements of humour and absurdity. This unique printing process developed whilst I was completing my MA in Visual Arts and Printmaking at Camberwell College of Arts.